Okie Quillin is a Graduate from Ewha Women’s University, College of Education in Korea and also an ESL Teaching Assistant. 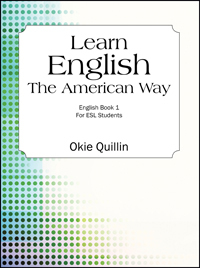 She has written “Learn English The American Way – English Book 1 for ESL Students” out of a need to further help those who are learning English as a second language. The main purpose of the book is to help you build vocabulary, understand the meanings and learn how to utilize them in a full sentence. The author also lists synonyms, antonyms and related words to aid the understanding of the main words, as well as to further increase your vocabulary. 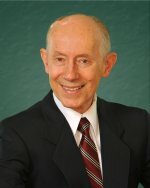 Dr. Douglas Winslow Cooper retired from a career in the environmental sciences that included a Ph.D. in engineering from Harvard, seven years on the faculty of the Harvard School of Public Health, a decade of research and publishing with IBM’s Research Division, and election as Fellow of the Institute of Environmental Sciences and Technology. 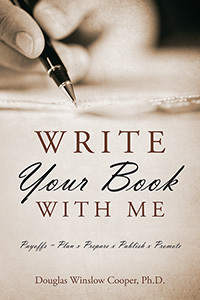 After writing and publishing his own memoir, Ting and I, he now helps others write and publish their books. His web site is writeyourbookwithme.com. Beatrice Ekanjume-Ilongo did her tertiary education in the University of Yaounde 1 Cameroon where she obtained a PhD in Linguistics in 2006 with specialization in Phonology. 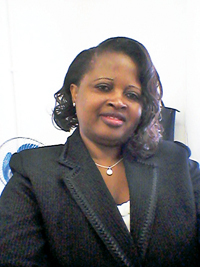 She has been teaching phonetics for the past fifteen years in the University of Yaounde 1 Cameroon, University of Burundi and now the National University of Lesotho. 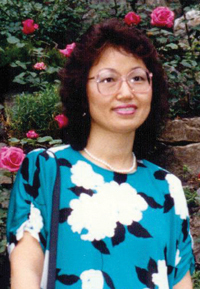 She has published in several accredited journals in her areas of research interest, including a book on Phonology. Beatrice Ekanjume-Ilongo was born in Cameroon and is married with four children. She is currently an Associate Professor of Linguistics in the Department of English and the Dean of the Faculty of Humanities at the National University of Lesotho. “Phonetics in the Classroom: A Handbook for Beginners” is a handbook that will prove invaluable to all students and teachers of Linguistics, and will also be useful to those working in other, connected fields. The aim of this handbook is to provide students with practical skills and a conceptual framework to do further work in phonetics. It will give training in the production, perception, physiological and acoustic description, and IPA transcription of the speech sounds used in the languages of the world. 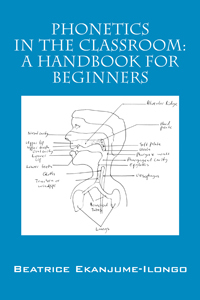 The main function of the handbook is to provide the essential background for beginners so that they can be equipped for further work in phonetics. The book introduces students to the sounds of languages in general while at the same focusing on the sounds of spoken English, with emphases on the description of consonants and vowels, the stress patterns of English, and the use and functions of English intonation. Throughout, hundreds of examples are given from the world’s languages although there is an obvious concentration on English. 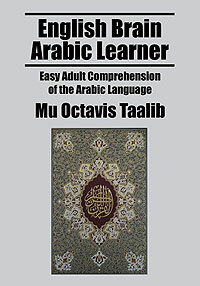 Mu Octavis Taalib, a professional Global TESOL instructor, teaches Arabic in the Atlanta metro area. He is a graduate of Hampton University in Virginia where he honed his professional skills after serving a four-year stint in the U. S. Air Force during the Vietnam War era. A former U.S. foreign service officer and diplomat, he has authored four books, including English Brain Arabic Learner (Outskirts Press, 2011). While living and working in the Middle East and Africa, he took time to decipher classical Arabic and learn the workings of the many, assorted cultures found there. These studies have been the impetus and stimulation to writing his latest book, Life is No Mystery: Natural Knowledge and the Human Birthright. Describing himself as an avid culturalist, the author grew up in Eastern North Carolina among six siblings. His interests include teaching, community involvement, billiards, and geopolitics. Never has explaining the underpinnings of Arabic been so explicit, so clear. English Brain Arabic Learner exposes the simplicity of Arabic and gives the learner heart to stay in the challenge of learning the language. This book was written by a trained Global TESOL instructor after two years of practical classroom application. The methodology works. English Brain Arabic Learner is a clear and concise presentation of the Arabic language and how it can find its way into the brains of individuals whose linguistic patterns have relied solely on English. While many individuals have a desire to tackle Arabic, a good percentage of them become discouraged and convinced that the task is too difficult. Having spoken, read, written, and listened to English all of our lives, our conscious minds become wary of any new and unfamiliar language, not just Arabic. The book focuses on approaches adult brains can accept easily as opposed to using force to make it do something against its will. Many would-be Arabic learners fail to learn the basics of the language because of simple points. Many instructors push learners too hard sometimes just to memorize letters without giving them proper explanation of letter basics. They fail to show how all written language forms share a linguistic relationship. They ignore the perceived mystery associated with Arabic and they don’t address the myth about it being such a complicated language to learn. Adults are perfectly capable of learning how to read and write Arabic. This book shows how. The author explains the underpinnings of Arabic in a simple, concise way. Taalib uses a brain-centered approach for teaching adults basic comprehension of Arabic. 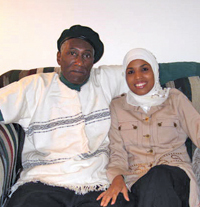 The author instructs Arabic courses in suburban Atlanta. He studied under the renowned Global TESOL professor, Dr. Sarah A. Shope.